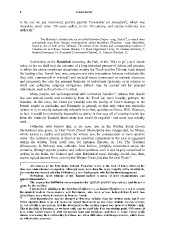 Nezikin (Damages), 10; Kodashim (Consecrated Objects), 11; Taharot (Purities), 12.
individuals, such as the priests or Levites). claims logical descent from, not only the Written Torah, but also the Oral Torah . the country was named after the Philistines, a non-Arab people who had by then disappeared. name for the oral law. should have been derived exclusively from the Torah. an act of faith is necessary, that the document or the spoken report was indeed of Divine origin.